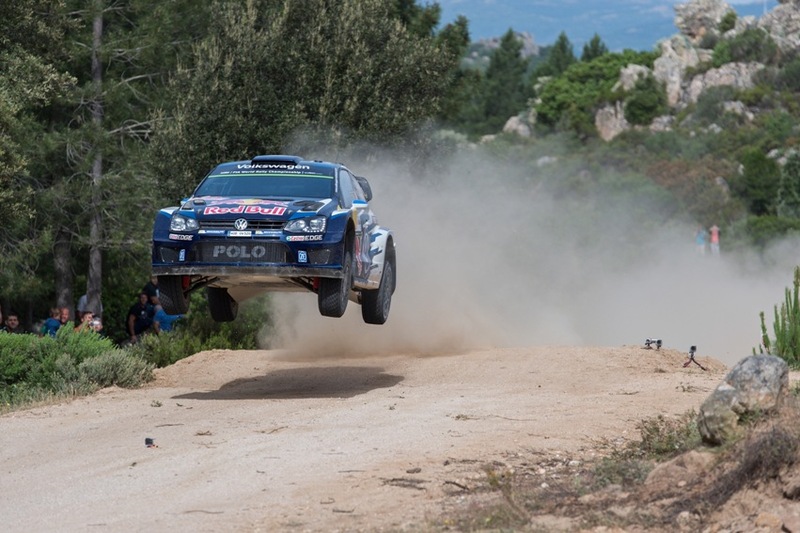 Sébastien Ogier and Julien Ingrassia scored their third victory in a row in Sardinia on Rally Italy while scoring a remarkable 21st victory with the Polo R WRC. In contrast, Jari-Matti Latvala and Miikka Anttila had to fight back to score sixth place after two punctures on Friday and Saturday and damage to the suspension after hitting a rock. Andreas Mikkelsen retired on the Friday after unfortunately hitting a pothole and also failed to complete the Saturday, but rejoined under Rally 2 regulations for final day. Rally Italy was a real scorcher – with air temperatures of around 29 degrees and up to 43 degrees out on the road. The stages were rutty and rocky with Saturday's route at 212.83 kilometres, the longest day of rallying since the 2002 Safari Rally. However, the big story of the weekend was Hayden Paddon's pace in the Hyundai. He led the rally for the first two days before an impact with a rocky base in a compression broke the gearbox. "We could smell oil pretty much straightaway," said Paddon, "and although we still had gears the unit was moving about and losing oil." Fortunately a telephone call to service provided sufficient suggestions for him to limp back to overnight service and get the box repaired for the final day. It was a very close call. Paddon became the first New Zealand driver to lead a WRC round outside his home country with team mate Thierry Neuville claiming third place after Mads Østberg went off the road on the opening test on Sunday damaging his Citroen’s brakes. He limped through the final three tests, falling behind both Neuville and Elfyn Evans but holding off Jari-Matti Latvala. After driveshaft problems on the opening day, Elfyn Evans recovered to finish fourth in his Ford Fiesta RS, 1min 12.3sec behind Neuville and more than two minutes clear of Østberg. As for Kris Meeke, he struck trouble on the opening day - see following separate story.